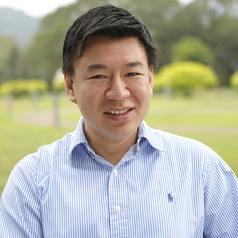 After obtaining his BA and MPhil degrees at Hong Kong Baptist University, Li Hak-yin completed his PhD in politics and international relations at the University of Nottingham. He has taught at the Hong Kong University of Science and Technology and Community College of the University Hong Kong before. Li was an Honorary Research Associate of Hong Kong Institute of Asia-Pacific Studies at the Chinese University of Hong Kong. He is also an alumni of Deutsche Gesellschaft für Auswärtige Politik e.V. (German Council on Foreign Relations) and a research fellow of the Global Studies Institute in Hong Kong. Li's research and teaching interests mainly cover the fields of global governance, international relations, Chinese foreign policy, Chinese and Hong Kong politics. His works can be found on Journal of Contemporary China, Asian Politics and Society and East Asian Policy."